The answer is, there's not just one answer. 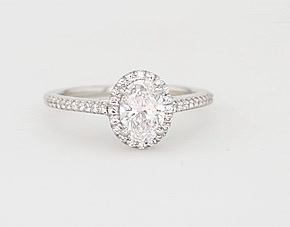 When it comes to engagement rings, whatever your budget, you should strive to buy the best diamond you can afford. Forego thoughts of a certain number of paychecks and focus on educating yourself on the 4Cs, specifically cut, colour, clarity, and carat. Perhaps the real question should be: what’s your budget? 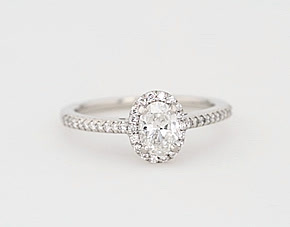 We get that a ring’s price is often at the forefront of decision making. 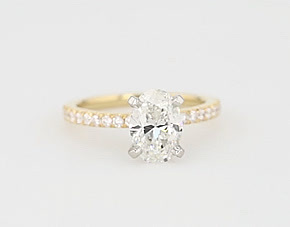 Focus on getting the best diamond, for the best possible price, squarely within your comfort zone. Forget antiquated ideas about how many paychecks you should plan on spending and follow this roadmap to success. Prioritize cut. 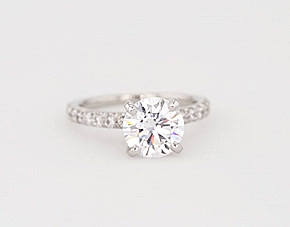 Of the 4Cs, cut has the most impact on a diamond’s sparkle. Pick the highest cut grade you can afford. Does size matter? Carat is the most familiar “C”, but it simply refers to the weight of the diamond. 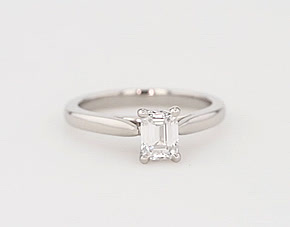 Balance carat with cut grade for maximum wow. Make a choice. 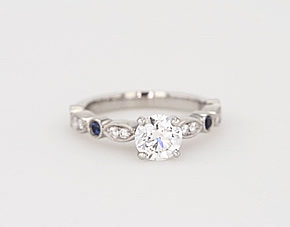 Pick a metal and ring style that feels right for the person it’s intended for. There are no right answers here—it’s all about personal style. Be confident. View the diamond’s third-party grading report to confirm that you’re getting what you think you’re getting.